RRC BLOG: Freedom Of Speech? SOPA. Internet regulation. Censorship. Its a downhill spiral anyway you look at it. Contact your legislators! 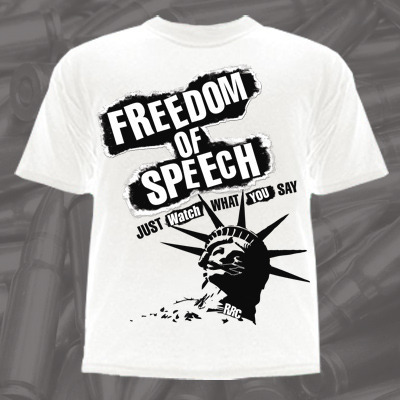 I think the RRC "Freedom Of Speech" shirt says it all. I have it on sale for $15.99 at the shop.